A few months ago, I was looking at a trend for Niche Pursuits, and I was not happy. The organic search traffic was trending down the last few months of the year and it had me a little worried. As a result, I decided to do some research to figure out what was going on. How could I reverse the negative trend? How could I get more traffic from Google? I could certainly pump out more great content and start ranking for this new content. But it pained me to see content I had written years ago not ranking as well in Google. So, I decided it was time to go back and freshen up some of my old content and re-publish it. After doing some research, I discovered that other bloggers and websites have seen some pretty significant results from updating old content. So, in early January, I went on a mission to start updating some of my content on NichePursuits.com that wasn't performing as well as it once was. The results astounded me. Not just by how much some of my traffic increased, but also how quickly it increased. I didn't have to wait weeks or months, it was almost immediate! 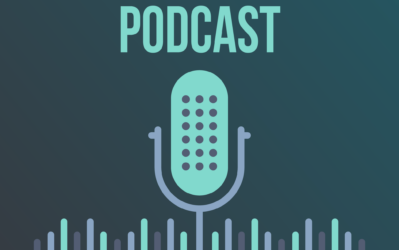 Update Feb. 2019: Want an update on an article that talks about updating content? I thought so! :). It has now been about a year since I conducted this initial experiment and saw great results in the first 30 days. However, did my articles continue to perform well in Google after the updates I made? Or did they only get a small “freshness” boost and then quickly fade back to where they were before? Overall, most of the examples below continued to stay or even increase in terms of traffic even a full year later! However, a couple of the articles I updated saw an initial boost and then faded. You can see my full updated results and screenshots below. Want to see the steps I took to get an almost immediate boost in organic traffic from Google? Read below. In total, I updated 7 articles in the month of January 2018. In order to show the results I quickly achieved, I'm sharing a screenshot from the 30 days prior to updating the content and the 30 days after updating the content. Update Feb. 2019: I've kept the original screenshots for you to see. But I've also added 2 additional screenshots that show what happened 1 year after the updates were made. The first new screenshot compares the traffic increase AFTER the initial update to today. The second screenshot compares the traffic from BEFORE the update to today. 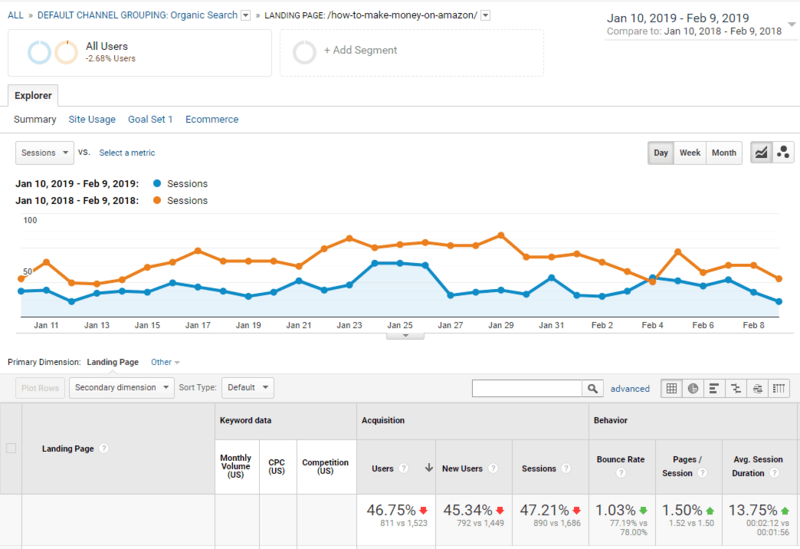 These screenshots show organic traffic from Google ONLY. 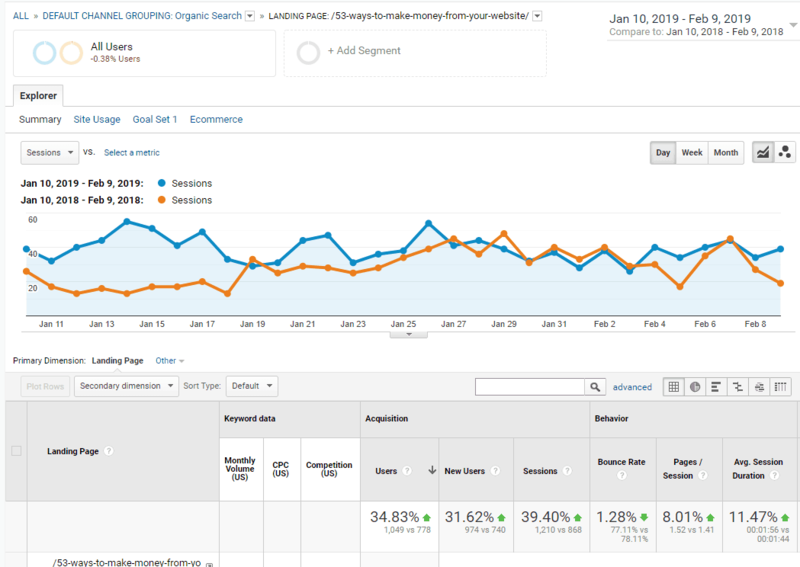 Organic traffic 1 year after the update: decrease of 51.25%. 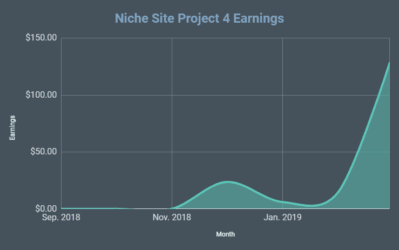 In other words, the traffic initially went up by 120.81% in the first 30 days, but in the following year has dropped by 51.25% compared to that highest level. 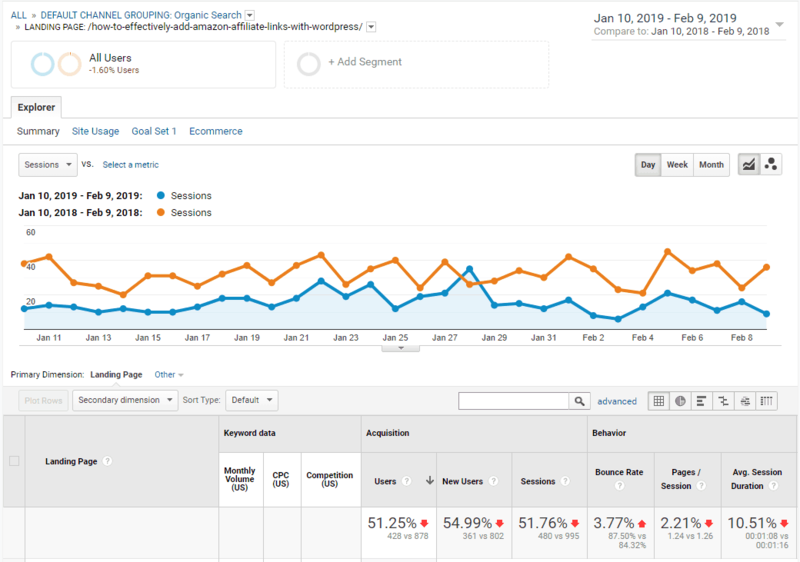 Organic traffic compared to before the update to 1 year after the update: decrease of 21.34%. In other words, the traffic is now 21.34% lower than it before I even updated the article. Ouch! This is likely due to increased competition on Google and those sites answering the search query better. 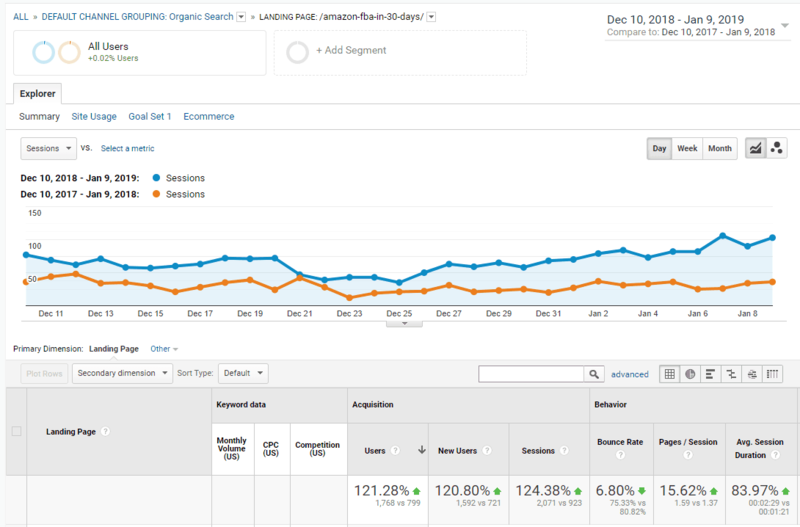 Organic traffic 1 year after the update: 112.31% increase. In other words, the traffic went up 712.2% in the first 30 days after the update. But the traffic increased from that higher level by another 112.31% in the year following. Wow! 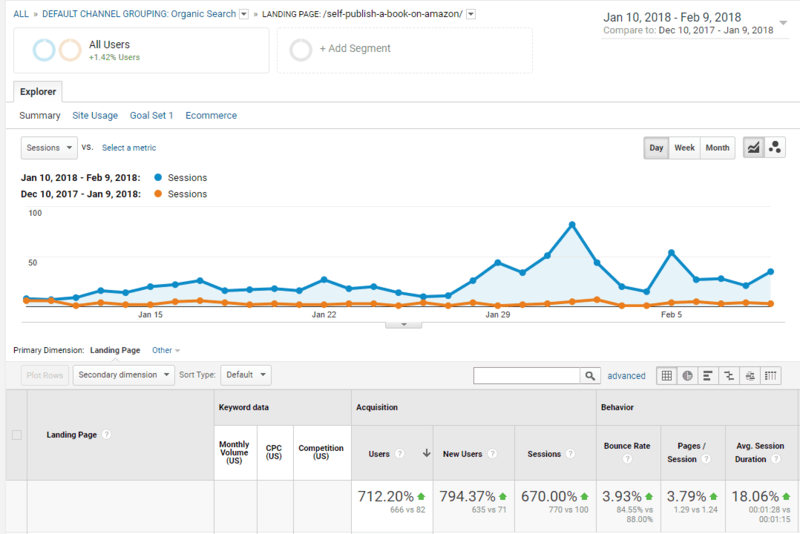 Organic traffic compared to before the update to 1 year after the update: 1,667.07% increase. In other words, compared to before the update to today (1 year after the update), the traffic to this page has increased by a whopping 1,667%. The site was only getting 2 or 3 visitors a day from Google before to now around 50 visitors a day from Google. 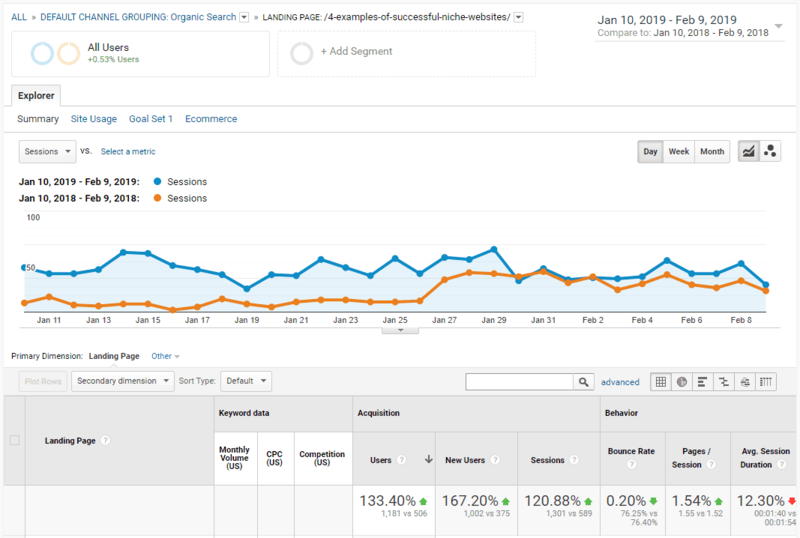 Organic traffic 1 year after the update: 42.24% increase. 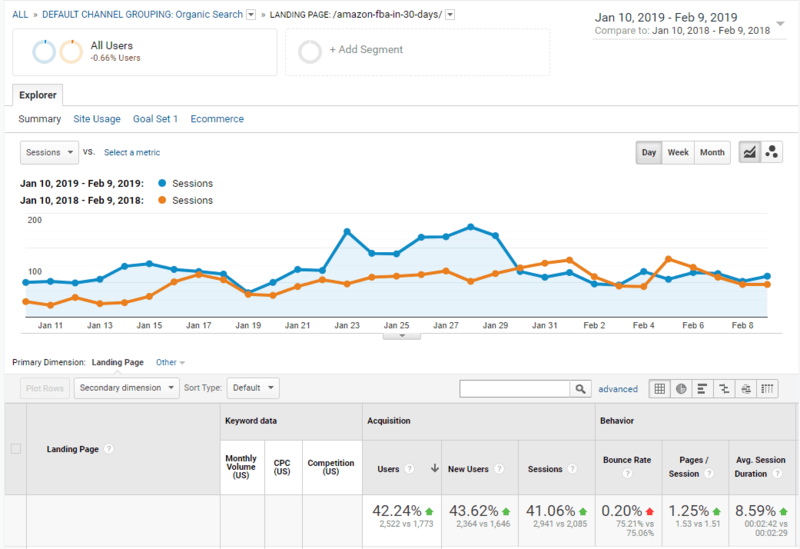 In other words, the traffic increased by 156% in the first 30 days, then proceeded to increase by 42% from that higher level. 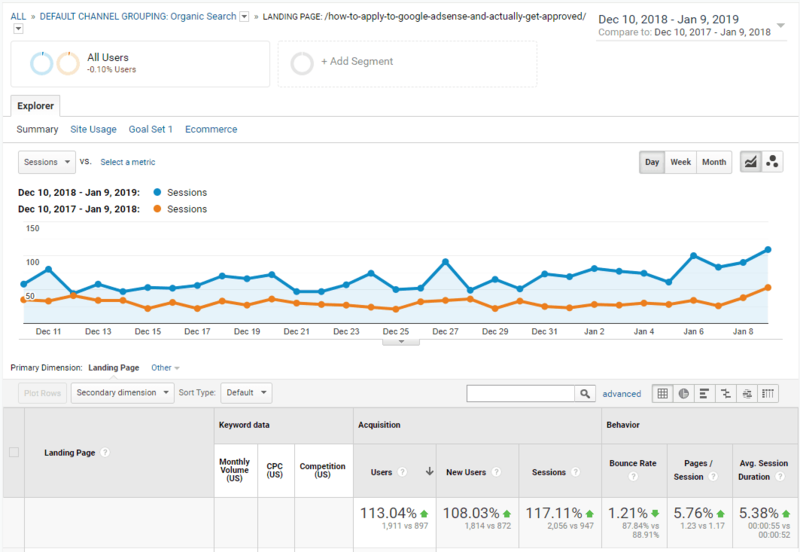 Organic traffic compared to before the update to 1 year after the update: 121.28% increase. In other words, the traffic has increased by a total of 121% from before the update to today (a year later). 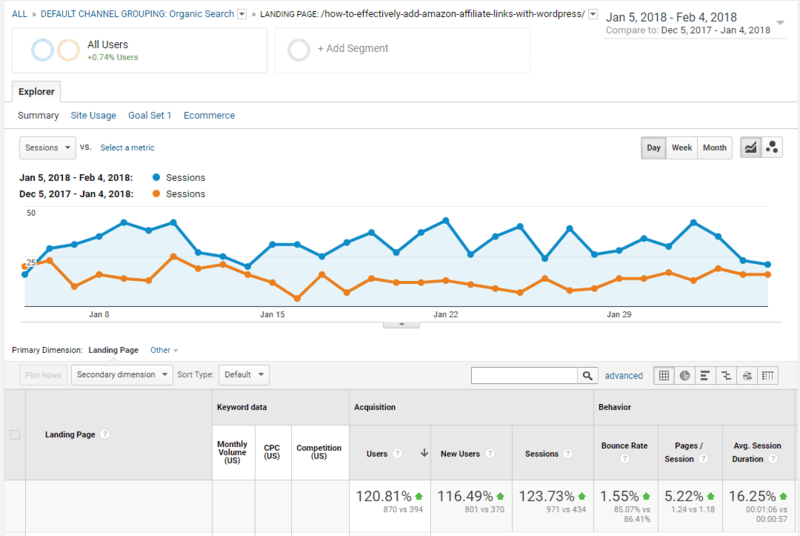 Organic traffic 1 year after the update: 46.75% decrease. In other words, the traffic has declined by over 46% a year after the first 30 days. 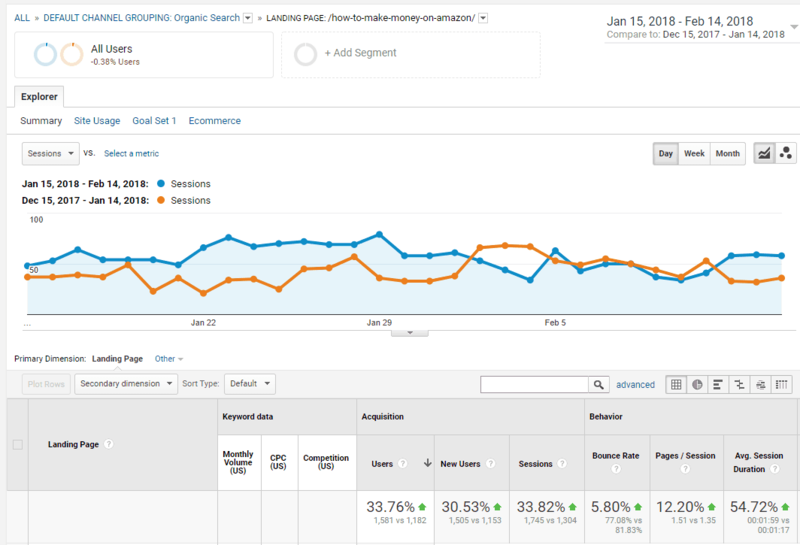 Organic traffic compared to before the update to 1 year after the update: 40.88% decrease. In other words, the traffic has declined by a total of 41% since before the article was updated until now. Boo! 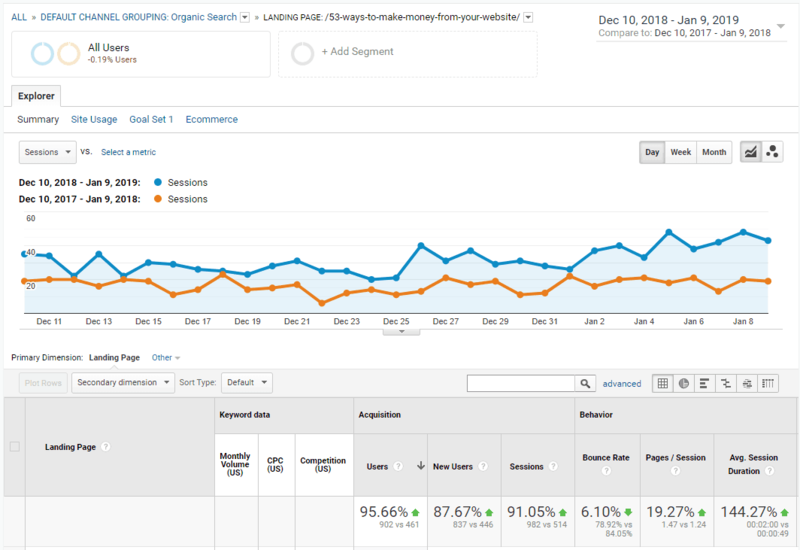 Organic traffic 1 year after the update: 34.83% increase. In other words, the traffic has increased by 34.83% after the initial increase of 87.82%. 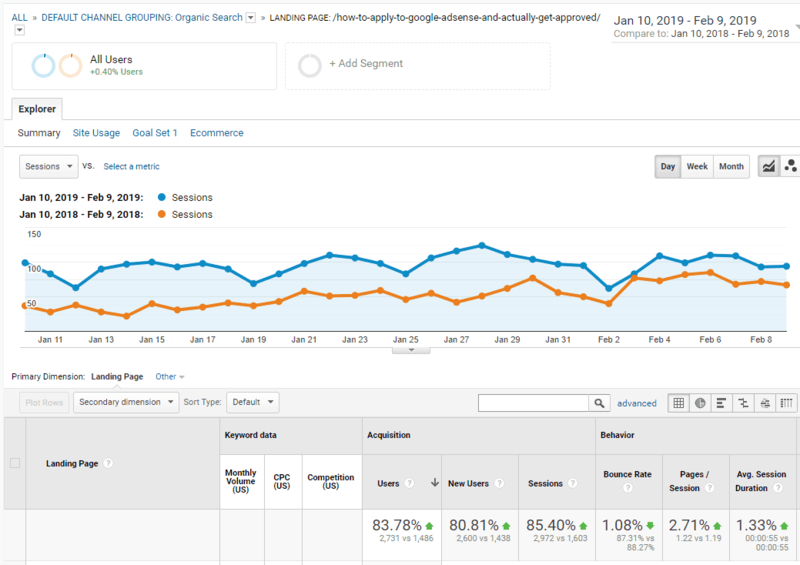 Organic traffic compared to before the update to 1 year after the update: 95.66% increase. In other words, the traffic has increased a total of 96% when compared to before the updates were made. 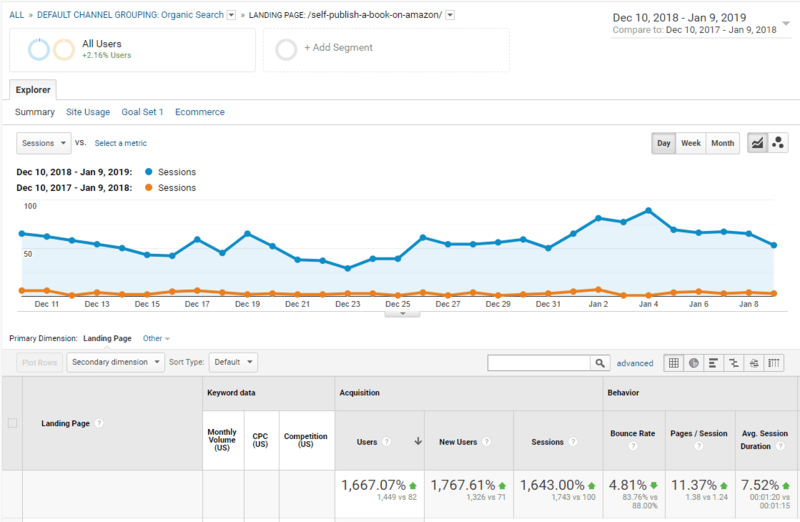 Organic traffic 1 year after the update: 133.4% increase. In other words, the traffic initially increased by 225% after the first 30 days following the update, but then went on to increase another 133% from that higher level. 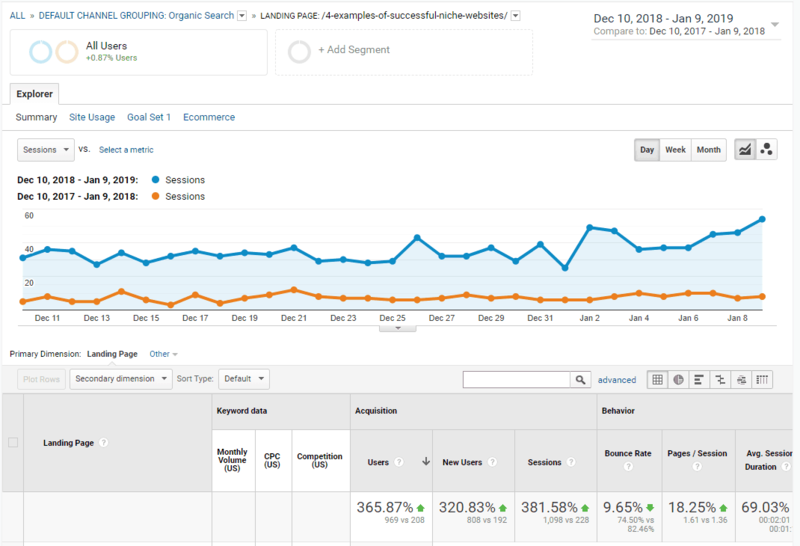 Organic traffic compared to before the update to 1 year after the update: 365.87% increase. In other words, the total increase in traffic is 365% in 1 year following the update. 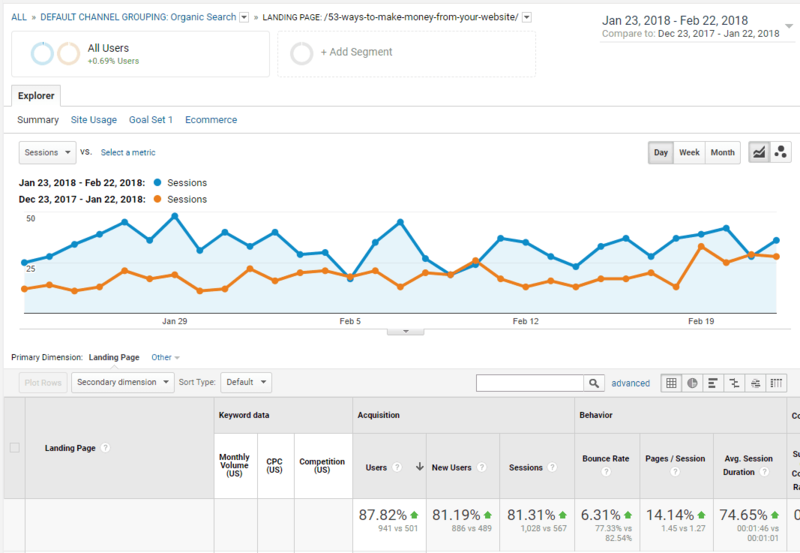 Organic traffic 1 year after the update: 83.78% increase. In other words, the traffic increased by 74% in the first 30 days after the update, but then increased by another 84% after that first 30 days. 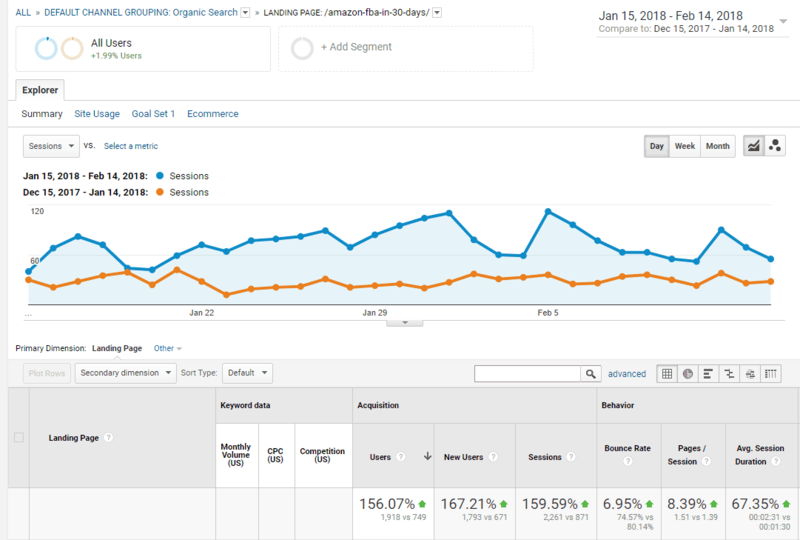 Organic traffic compared to before the update to 1 year after the update: 113.04% increase. In other words, the traffic increased a total of 113% in the year following the update. As you can see, every single post that I tried this process on increased in Google traffic. Some went up just a little, but others increased an enormous amount. The self-publishing article increased by over 712% in the first 30 days! The best part is that you can see that the increase in traffic from Google was almost instantaneous for some of these articles. 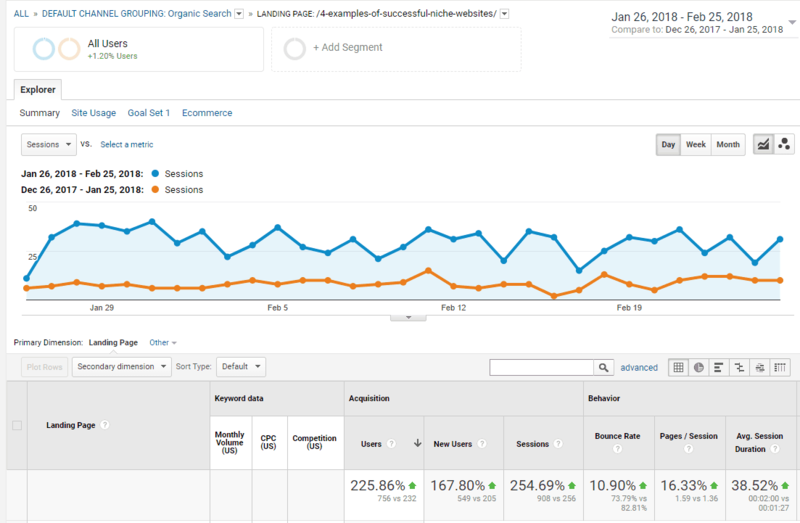 The day after publishing the updated content, the traffic increased. My process for updating old content is somewhat involved. However, as you can see, the results are well worth the effort. First, I had to identify which blog posts to update. I used 3 methods to figure out which of my hundreds of blog posts I should go back and start updating. Google Analytics was very helpful in making some of these decisions. Find the articles getting the most traffic in Google already. This may sound counter intuitive, but if you have an article already performing well in Google, then you know Google “likes” it. If you can expand the content and add additional keywords to target in the content, you can likely rank higher for your main and secondary keywords. Find articles ranking low on the first page of Google or the second page of Google. A small update to your content to make it a bit more in-depth may be all that is needed to increase your ranking from 10 to 5 (or higher), or from somewhere on the second page to the first page. Find well written content that isn't targeting keywords as well as it should be. I hate to admit that this has happened to me a few times. I simply start writing something and the content doesn't always turn out keyword focused…even though it's great content! A good example of this was my Amazon Affiliate links article before I updated it. 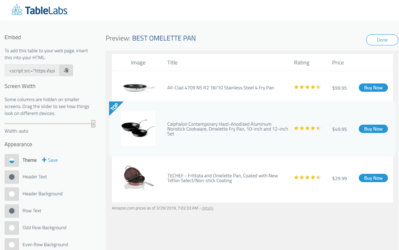 It was still a great tutorial on using Amazon affiliate links; however, the keyword targeting needed to be improved. After my updates, I more than doubled the traffic from Google to that article (as you can see above), by focusing on specific keywords a bit better. It's difficult to measure the impact of your changes if you don't document how your content is performing before you start. I created a simple Google spreadsheet to document things like starting rank in Google, organic pageviews for the previous 30 days, current word-count, and more. These were my column headers, and then I filled out the data for each article in a different row. Now that you have your starting position documented, it's time to actually improve your content. Over the last few months, I've started using a tool called Market Muse that gives your content a quality score and shows you how to improve it. The process is pretty straight forward when using Market Muse. You input the URL of your existing content and your target keyword phrase, and then Market Muse pulls in the content and gives you a content score based on their artificial intelligence back-end. However, what's really great is that Market Muse takes it a step further and shows you how your content compares to the top 20 results in Google, and it gives you additional keywords you should be including in your content to improves it's value. 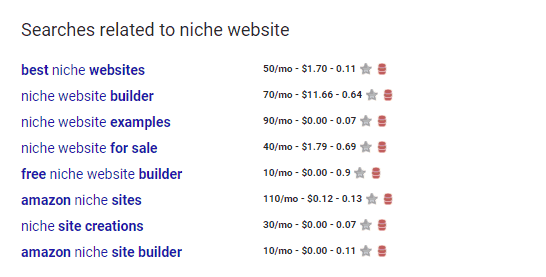 For example, I just ran my “How to Build a Niche Website” article through Market Muse. (I already rank #1 in Google for “niche websites”). 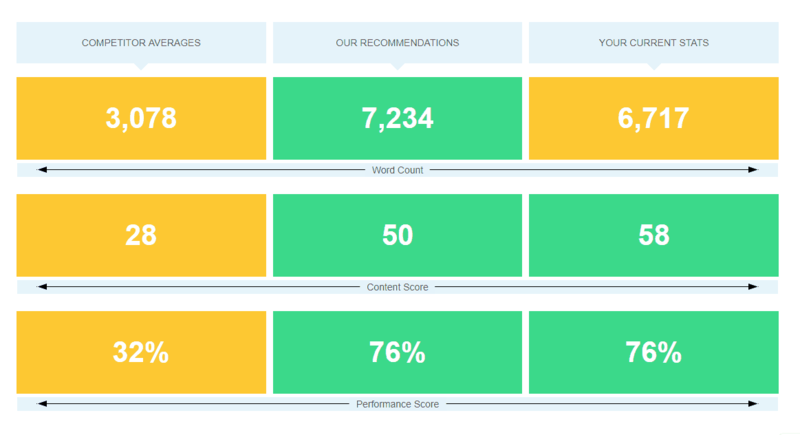 It shows word count, content score, and performance score. I won't go into a full tutorial, but it's showing that my content is already much better than the competition (why I rank at the top of Google). 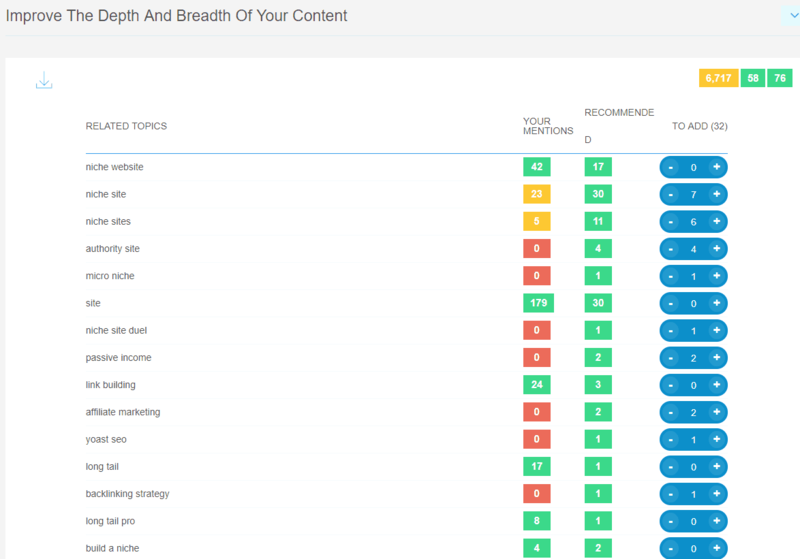 However, if I was looking to improve my content, it shows me what topics I should probably add. As you can see, there are several keywords that I am not mentioning that I probably should. This would help me improve my content score and likely improve how I rank in Google for related queries. If you don't have a tool like Market Muse, that's okay! You can still try to find LSI (Latent Semantic Indexing) on your own using intuition or a couple of free tools. You can use the Google Keyword Planner for free to help generate some additional keyword ideas. You can also use tools like UberSuggest and AnswerThePublic for free to get additional keyword suggestions. I would be remiss if I didn't mention Long Tail Pro. Honestly, Long Tail Pro is how I still do my keyword research and found it very helpful in the content update process to make sure I was targeting keywords that are low competition. Just because your content is longer doesn't mean that it's guaranteed to rank higher. However, there is a strong correlation between content length and ranking in Google. Several studies have been done that show that longer articles tend to rank higher in the search engines. The first page tends to average nearly 1900 words according to Backlinko. I personally try to shoot for WAY longer articles than that. However, the type of content I write for Niche Pursuits tends to be in a very competitive market. For my affiliate sites, I still like to shoot for content that is 2,000 words or more, and often over 3,000 words. You can use a free tool, like WordCounter.net to check the word count of any URL. So, if you want to manually check your competition for free, that's one option. However, don't just add fluff! The idea is to TRULY make your content better by adding more depth to the subject. Think of ways that you can include examples or come at the topic from an angle that perhaps you hadn't included the first time. In addition to making sure you are targeting the right keywords and improving the depth and word count of your content, you should also think of ways to keep your visitors around. Many people believe that the longer visitors spend on your page, the higher you will rank in Google. This is closely tied with bounce rate, which may be a better indicator of ranking. The less people have to go back to Google after visiting your site, the higher Google will value your site. So, here's a few quick tips to consider when you are updating your content which can improve the amount of time visitors spend reading your content. Add images. As you can see in this article you are reading, I've added several screenshots and images that make the content more interesting. This makes people stick around. Add videos. Even if you don't have an original video, you can insert a YouTube video on a related subject. Speaking of which, I'll add a related video now below just so you can see an example. After I've gone through and improved the content based on the strategy I just listed above, my next step is add internal links. I go through my site and find content related to the updated article and link TO the related article. Google values internal links and these links do improve rankings. For the articles that I updated on Niche Pursuits, I added about 10 new links to the updated content. These were all internal links, so I didn't have to go and do a bunch of outreach or anything like that to get the links. I think this is something that people don't do enough. You should be linking to your own content from other pages on your own site more often if you are like the average website owner. The final step is to change the publish date to today. Rather than just hit “Update” in WordPress, go in and actually change the publish date to today so Google knows it's fresh content. Once that is complete, I then simply monitor the traffic and rankings over the coming days and weeks! As you can imagine, I've been very pleased with the results I've seen as I've updated my content. Now, I just need to buckle down since I have many dozens of articles that need to be updated. Overall, I can think of 5 reasons why this process works so well. Adding depth to content SHOULD be what ranks better in the first place. If you are giving people what they really want (better content) Google is smart enough to rank that content higher. Improving time on site and reducing bounce rate. These are strong signals to Google that you are doing something right. Better keyword targeting. If you didn't probably target keywords your first time around, an update can really improve what Google is ranking your content for. More links. By adding additional internal links, this is boosts the authority of that particular page. Yes, even if those links are coming from the same site. Fresh Publish Date. Google tends to give a boost to newer content. So, by updating the publish date when you've actually updated your content can help improve your rankings. If I haven't convinced you by now that you should do a content audit and update your old articles, maybe this article will help. If you are ready to implement this process on your own blog, you can follow the quick steps that I've shared below. Overall, I hope you see some of the same success that I've seen recently. If you have any questions or additional thoughts to share, please leave a comment below. Looking forward to trying this on my sites! Thanks Logan! That would be why, I updated the content, and updated the date :). Just a thought Spencer… the triple pop-ups that I’m getting on your site are a bit excessive. One pop up with a question, a second to request notifications, and a third to collect emails. Happens every time I go on your site, my cookies are enabled, and I already subscribe and receive chrome notifications. Jacob, I’ve been playing with things the past couple of days. A couple of things got left on by accident. Should be better now. Wow. This is a brilliant experiment and a very useful insight into updating old content and how effective it is. I have a question for you – if you have an article ranking well for A keyword, would you experiment and add in new keywords (like sub-topics) for this trial? Or, you would stick to the same topic and link out to new content talking about sub-topics for them to rank separately? Yes, I would add new keywords and sub-topics. Nice but it would be interesting to see what happens in a few months. You’ve promoted your updated content which probably earned you more social media shares and more links. Google noticed that and the updated content and started to send you more traffic to see how it performs. The tricky bit is to get this trend to continue in the next few months. Sure, I can do an update in the future. Some of the updated articles were not shared on social media when updated. Hey guys, I just started a blog two days ago and only have one visitor, myself. Yesterday I told my mom, my dad, my little brother who can’t even read yet, and my girlfriend to visit my website, then my traffic suddenly increased to five visitors per day. I increased my website traffic by 500% in just one day! BOOM! I’m gonna start an internet marketing blog now and create a $1,000 course so everyone can be like me. Haha, go for it. I catch the sarcasm there. I updated 7 articles and added a couple hundred extra organic visitors a day. Since I have about 500 blog posts, this is a small percentage of my overall traffic. I’m just trying to share what is working…if you don’t see the value, I look forward to your big insights on your blog. Wow! Dave. That was a little spicy that comment. If you know it all why come here? Its not time yet for me to apply these tips , but when it does I will surely follow your steps, thanks for sharing this. I like the way you bring out new ideas to those of us who are struggling to earn online. I will definitively update my old content and add new keywords. I always look out for your insightful articles. Thank you for sharing. Change the Publish Date to Today – here’s a tip for that. Install a simple WordPress plugin called “Time/Date Now” – it adds one simple button to the Publish box in WordPress that says “Now” – just click it to change the date so you don’t have to manually, then hit the Update button! I’ve been using this content update strategy for years on my various sites and I install that plugin on ALL of my sites! I had an affiliate site for bbqs and ranked 3rd for my main keywords. I left the site feeling happy with myself bringing in £1000+ per month. Then BANG!!! Revenue dropped for less than £100. Great tips! I just wanted to note that I’ve updated posts without changing the date and I’ve still seen increases in Google organic. But I do believe there is a correlation between people clicking on old vs new posts if the date is in the SERPS. So I no longer have the dates in the posts. Good article. About the word count – sometimes I see short articles on blogs ranking in the first pages of google. Blogs, authority websites,etc – sometimes articles have less then 700 words and still rank in first page. Yes, sometimes that happens. But in general, a longer article will outrank a shorter one. Links has something to do with it as well. Very useful article – I already updated one of my longer articles (also included additional picture with all the relevant text in ALT, URL, etc). One quick question remains: I changed the date to today, also added internal links as recommended by you. Should I let G discover the update(s) itself or push it by submitting the updated page through WMT? Google will discover the update on their own. I never did any updates through WMT. Another fantastic guide from you! I actually tried this twice, once about 8 months ago and again about a month ago. Both articles were in the 1500-2000 word range and were ranking towards the bottom of page one or top of page two. I added about 2000 words to each with solid material. The results? Both articles dropped to the 3rd and 4th page for the main keyword and never recovered. BTW, I never changed the publish date. Maybe this had something to do with it. I’m a bit baffled as this seems to be working for you and several others in the industry. It looks like you had great results overall. Did you notice any post that lost ranking? This may or may not be related to your changes. Have you seen any movement in your other articles? This can give you some clues. Did you look at the SERP – there might be competitor sites that are ranking for your KW now regardless of your changes. Possibly new articles form strong sites that “stole” your KW. Take into considerations that after updating an article you are likely to experience the “Google Dance”. This is just a random thing to make people a bit confused to prevent them from reverse engineering the algo. This could last a few months. Also – when you do add content you really need to make sure that you have a goal in mind. You need to target new and related KW. You also need to see what your article is ranking for already and make sure you keep it there. The devil is in the detail and this is something that most of the SEO people keep to themselves. You also need to understand that from my experience adding content sometimes work and sometimes doesn’t. 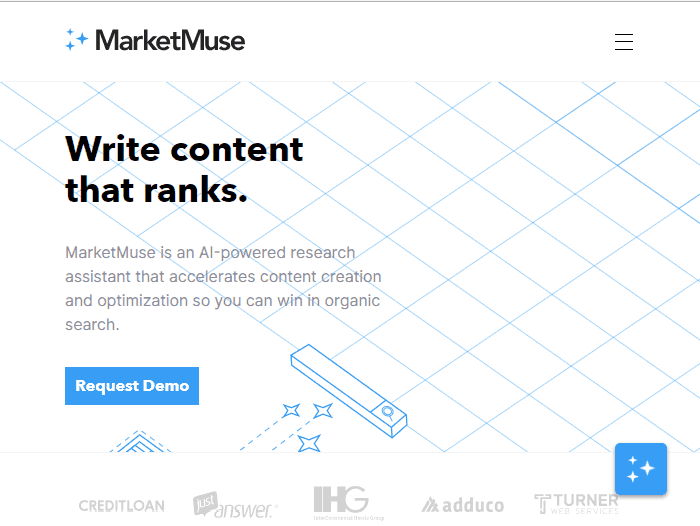 Did you use a tool like Market Muse, or did you just add content? Adding the RIGHT content helps. 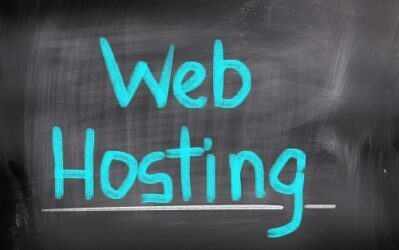 A great resource to develop website infrastructure. All the mentioned points are the excellent resource which is sufficient enough to drive a website ranking higher just by tweaking some attributes. Especially the interlink features I believe can work tremendously well on my site. 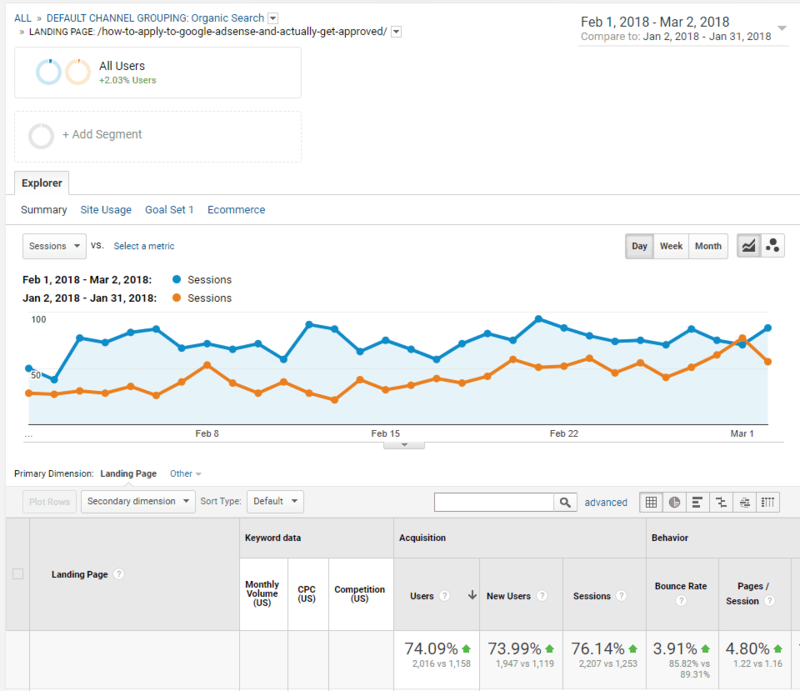 Wow, you have achieved some great results in analytics just be updating your articles. 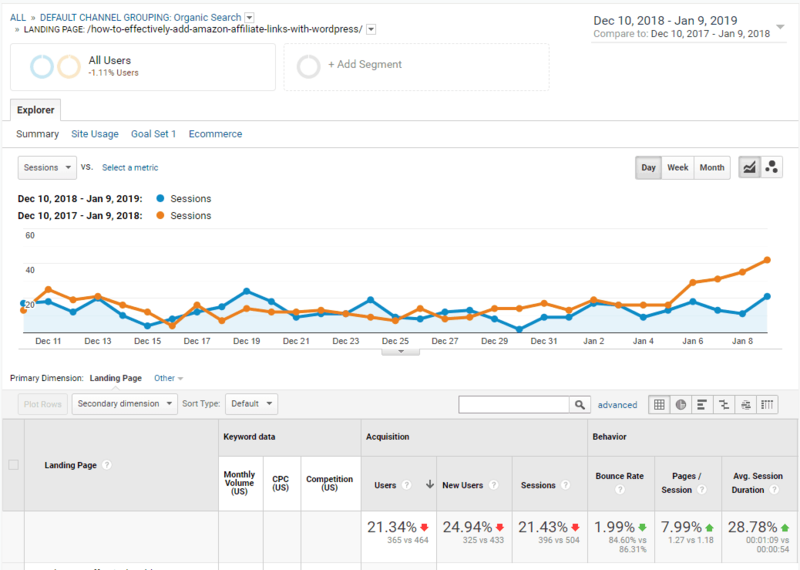 In my niche, I saw a small issue in January this year (2018), because some of my older articles have been outranked by new articles with new and fresh content, so I decided to update the info in my articles, and I even slightly changed the title of some articles, and now in March, I see a sudden increase in organic traffic due to this job. I’ve been doing this for years and it works. One thing to keep in mind. If your wordpress is set up incorrectly. Which I have an old site that was set up wrong. Like the url is based on the publish date. If you update the date. Your url changes. And that is bad. So be careful! I’ve been working on doing this for my sites for the past few months now instead of adding new content. I think TF-IDF has a lot of potential here and I wonder why you didn’t mention it. The TF-IDF is essentially what the market muse suggestions are, which I did mention. Wow… another great post! Thank you for the sharing, Spencer. By the way, how about mantaining the original posting date and add another ‘last update’ date on the post? Sure, you can do that if you want. Either way is fine. 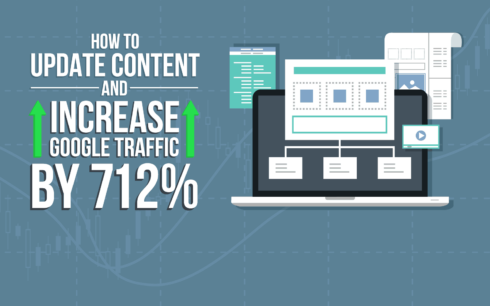 It is a useful article that I can learn how to attract more traffic for my blog. I will use your suggestion. Thank you for your article. This is an interesting case study, Spencer. I did essentially the same thing across the top few pages of my best niche site (with over 150 articles in the 2-3k word count range). The highest traffic / earnings yielding article was hovering between spot 1-3 at the time. Revamped that article with almost double the content and higher quality writing and it oddly lost rankings. About 30-60 days later it slipped down to second page and with it, consistent earnings via amazon from that one page. Hasn’t come back up. Not much noticeable change on the other updated articles. That’s interesting. I’m not sure why it would have lost rankings. Perhaps you were somehow matching the searchers intent better before you changed the article. It would be good to know how the external link count of these articles changed over time. Did you do any outreach to build links or just left the articles as they were? I have been using the Redwood strategy by Blog Marketing Academy, which means I kept adding updates to the blog post I am linking to, similarly to a tree beconing thicker over time. 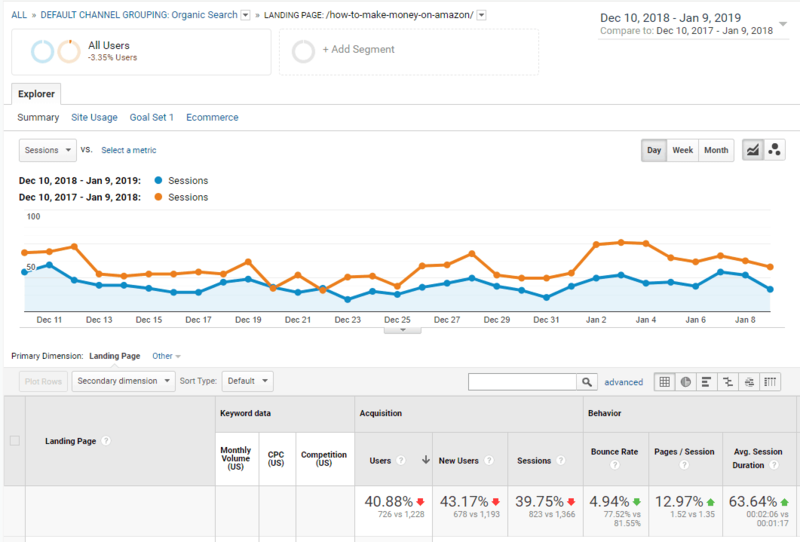 I originally targeted a keyword with 70 searches and first it was getting around 20 visitors per month. 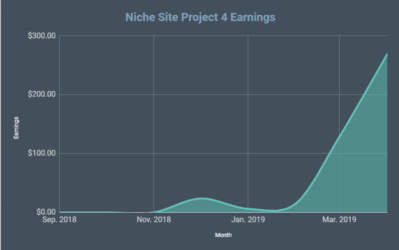 After a year, it is now getting 700 visitors per month and generates a couple of hundred dollars in affiliate commissions. I did not do any link building. And certainly within the first 30 days nothing changed except the onpage content, that clearly was the difference. That’s great! Hey Spencer! Great Article. My websites rankings dropped quite a lot so I might test this on my own site. Great case study with lots of actionable data here. Thanks for sharing! Have considered experimenting with one of the negatively impacted articles, like “How to Make Money on Amazon – Step by Step Guide to the Best 6 Ways”? I would be curious to see what happens if you reverted the article back to it’s original state. Have you ran an experiment like this in the past? I have not experimented with that in the past. I think the case for that particular article may be that there is just a lot more competition for the keyword now. But I should probably go back and tweak it again. Great to know that you can continue to update content and it may rank even better. I didn’t read if you tinkered with the article title. I have a handful of articles that rank well “impressions”, but don’t get clicks. I am wondering if the title is not enticing enough or something. Do you have any ideas what changing the article title would do? I did tinker with the titles on some of these. I think changing the article title is a good strategy in order to improve clickthroughs. Hope the new update will get great results. Waiting….! I just discovered your site. Super helpful! Thank you. 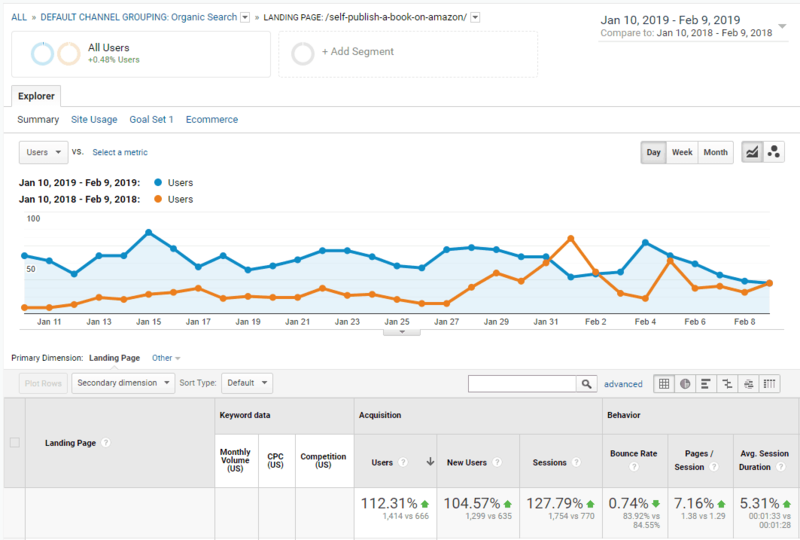 I’ve always wondered what the formula is for updating content, and I’ve usually just tried to think about it from my visitors’ experience perspective, but this applies real data to the situation! Thanks again. Super helpful. I’m one of those that doesn’t update my blog and facebook fanpage much so I guess I should do the same trick. It really seems the followers and search engines love fresh contents. Please let me know, which is better, to change article publish date or to show an article update date on top of the article rather than showing the article publish date? I would show the most recent date. If you want to install a plugin that shwos the “updated date”, that fine. Or the easier way is to just update the publish date. Excellent stuff Spencer and great results too. I always do this stuff on my blog i.e regularly updating the old contents. It works like a charm and as you outlined, we also the plan the same way, by finding relevant keywords and updating with more details. Tweaking your meta description and headlines also works great and make sure to use subheadings with LSI keywords to bring more visitors to your site from search. It’s also important to change your date to present date to make it fresh for your new visitors. It’s also better NOT to show date stamp in search results (or start using Schema markups so you can show recently updated date). There’s one more thing you can do while updating old blog posts which is to find all the relevant articles on your blog which covers almost the same points and redirect all of them into a single post which you can make it as an ultimate guide. That’s how you can reduce the number of blog posts which have thin contents and create more resourceful guides. It’s also a smart way to build links to updated posts and show them in your sidebar or footer section to give them more link juice. Thanks for your insightful post Spencer. I agree, thanks for stopping by Anil! I have applied for adsense 15 days ago still no response from them. I don’t know what i did wrong. Hope so i will get approved soon. Nice and very well written article. Thanks for sharing. I found very useful information above.